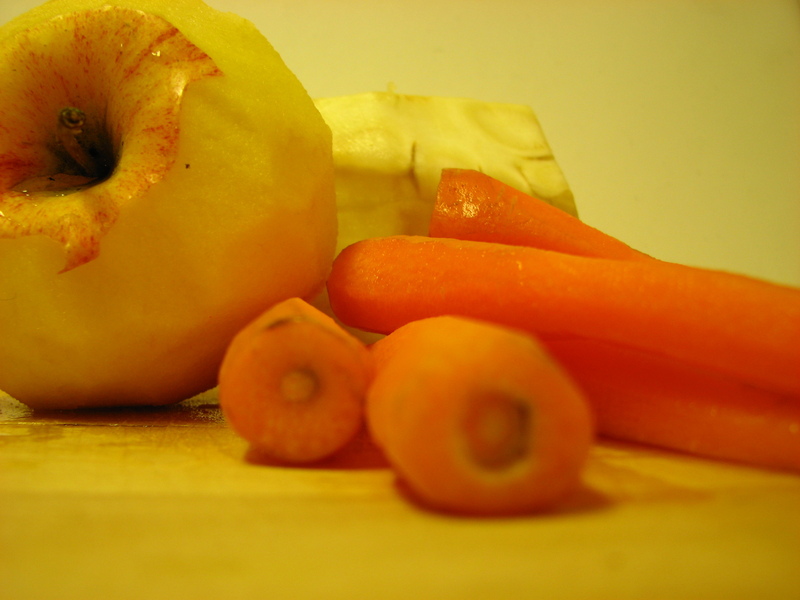 Peeled veggies, ready to be grated. I had a very tasty dinner last night, so I thought I’d share: a salad made of various veggie, tofu and pickled herring. The three went so well together that I became a fan. I got the organic tofu (firm) and the pickled herring from Superstore. For the salad, you will need: 1 medium beetroot, 2 carrots, 2 small apples, 1 celery root, salt, pepper, raisins and 1 Tbsp sour cream. If you like pastries, this might be your thing. It’s similar to spankopita – except there’s no spinach. So we could call it crabopita… You’ll need 1 pack of pollock flavored crab flakes, 1 pack of phyllo sheets (the ones they sell frozen in Superstore, Safeway or Coop), some 250 gr. Philadelphia cheese, 3-4 mushrooms, 1 grated carrot, 1 celery stick, salt, pepper, basil (or any dry spices you like with seafood), 3-4 tbsp melted butter, 1 egg (beaten). Prepare the filling: in a bowl, mix crab flakes with the grated carrot and the mushrooms and the celery stick cut into small pieces. Add salt, pepper and the spices. Add the cheese and mix well. Spread the phyllo sheets and cut them into squares (or into any shapes you want to use for the pastry). Melt the butter, and use it to brush the phyllo sheets (I find that using 3 -4 of them per pastry is the best). Then spoon some of the crab mixture onto the phyllo sheets, and using your hands roll them (I prefer doing them like spring rolls, but you may choose other shapes, like triangles). Brush each pastry with the egg then put on tray. Heat the oven (350F) and leave them for 15 minutes or until the phyllo pastry is crunchy. This salad is so easy to make and so tasty, that you’ll wanna eat it all at once! It’s also rather cheap to make, since you’ll need 1 pack of crab flakes (the ones you find in Superstore or Safeway, it’s really crab flavored pollock), 2-3 potatoes, 1 celery stick, 300 gr. olives, 1 carrot, 4-5 cherry or grape tomatoes (for decoration and as a side), mustard, dry basil, dry parsley, oil, salt, pepper. 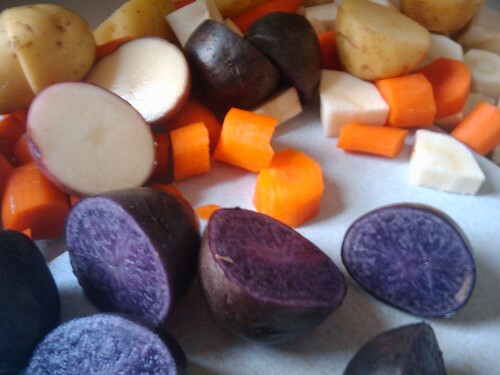 Cut potatoes and carrot into cubes and boil. When water is boiling, sink the celery stick for 2-3 minutes to tenderize. Remove and cut into pieces. Drain potatoes and carrot, put in a bowl, add celery stick pieces, olives, and the crab flakes (cut into small pieces). In a small bowl, put 1-2 tbsp of mustard and 1 tbsp of olive oil. Mix thoroughly, add salt, pepper, parsley and basil. Pour over the potatoes and mix well. Italians call this a specific southern Italian dish. Of course, in other parts of the world, it is thought to be specific to other places, like in the Balkans. Wherever you have eggplants, you’re bound to have a variation of this food considered ‘traditional’. While it’s not that easy to prepare, you can keep it in the fridge (or in a den, in a sealed jar) for a long time. It also helps with your daily veggie portion, and it goes wonderfully with crackers, biscuits, or just bread. You’ll need: 2 eggplants, 2 bell pepper (red, yellow or orange), 4-5 roma tomatoes, 1 onion, 4-5 garlic cloves, 2 celery sticks, salt, pepper, oil. Optional: 1-2 carrots. You can choose to roast the eggplants and the bell pepper, or not. If you choose to do so, it will take less time to cook the stew. To roast, put in the oven (on a baking sheet or something similar) for 30-40 minutes (350F) or until the skin cracks. Take them out and peel them, then cut into pieces and set aside. If you do not roast – cut the eggplant and remove the skin. Cut the peppers. Peel the Roma tomatoes (sink in boiling water for 2-3 minutes) – or use the canned diced tomatoes. In a big pan, fry for 1-2 minutes the chopped onion and garlic. Add the peppers, the eggplants, the tomatoes and the celery. If you want extra taste, grate the carrots and add them – in the Italian version, you can also add green olives and capers. Add salt and pepper. Let boil for some 30-40 minutes (more if you didn’t roast the eggplants) or until all the veggies are fully cooked and can be easily mashed. I like to mash everything, so that all the veggies blend into each other, then eat it with crackers or with mustard and paprika bites.